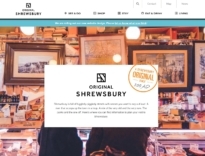 Shrewsbury BID manages the town’s official social media channels Original Shrewsbury which has a growing audience of over 14,000. We carry out targeted pay per click advertising on Social Media channels to raise the profile of the town locally, regionally and nationally. As part of the Original Shrewsbury digital platform, our Instagram gives members the opportunity to ‘takeover’ our account showing a weekend through their eyes. 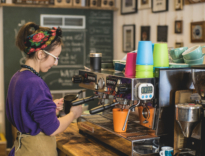 The business is provided with a device and can post pictures of their favourite products, customers and members of staff during a three-day period. If you have any questions about our social media, please email emma@shrewsburybid.co.uk.